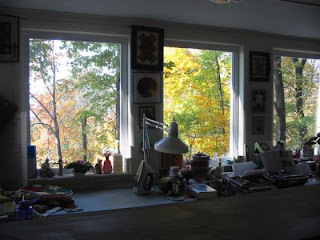 Here's the view from my porch window showing the colorful trees that I look out on while sewing or playing on the web. Just had to get some sort of pictures on today. I have mostly been making log cabin blocks and hand quilting on my Feed sack quilt but with Christmas coming I have to think about some little gifts. 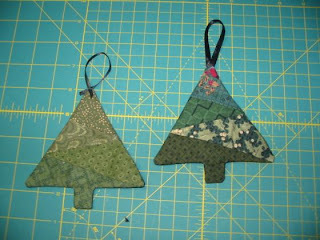 So thought I would show you a couple of paper pieced tree ornaments that I have made. These are a Carol Doaks pattern given to members of her yahoo group. Easy and could be done in any colors. These of course are in Thimbleberries fabrics. 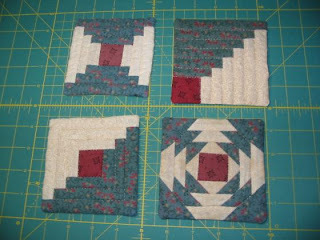 .Then since I'm so into doing log cabin blocks I want to make some of these coasters. These were given to me several years ago by a friend I met online in a quilting group. We went through three different ones, She was always suggesting me joining . She's the one that got me into the Quilter's Hollow and there I have stayed for at least 5 years. Made some great friends. Kim, Kairle and Patty you all know. I have kept them spread all around the living room and one I keep right next to me on the ironing board for that occasional cup of coffee or hot chocolate. I asked Patricia for the pattern and she has sent me one set but before I use it I want to get more copies made as these are also paper pieced and I'd just use up the pattern. These are also made in Thimbleberries. So tomorrow is my day out. Wednesday's I have a standing appointment with my hair dresser. That is after I work out at Curves. 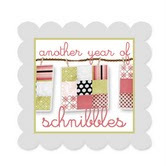 Then I will do some Christmas shopping and go the my local Quilt shop for the monthly Thimbleberries club meeting. good chance to see whats new. I make sure i have my husbands lunch handy for him to get. He uses a walker so can't do a whole lot. But I think He likes the day all by himself also. It won't be long till this view out my windows will be of bare trees. So the color lasting as long as it has is great. 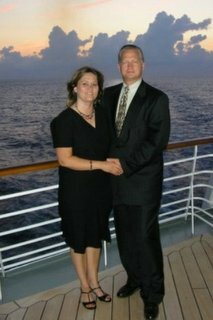 What a nice view Eileen, and nice big windows so you can take it all in. Have fun on your day out. You deserve it. Such a nice view from your sewing room windows. I like the Buggy Barn pattern and fabrics. You are a very good piecer. 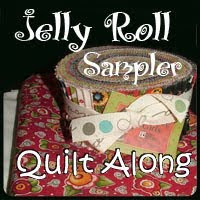 I'm not sure what I would do without my quilting. It's good company!